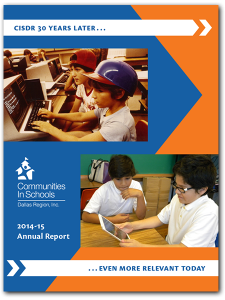 Every year, Communities In Schools of the Dallas Region (CISDR) releases a visual retrospective of our most recent accomplishments. 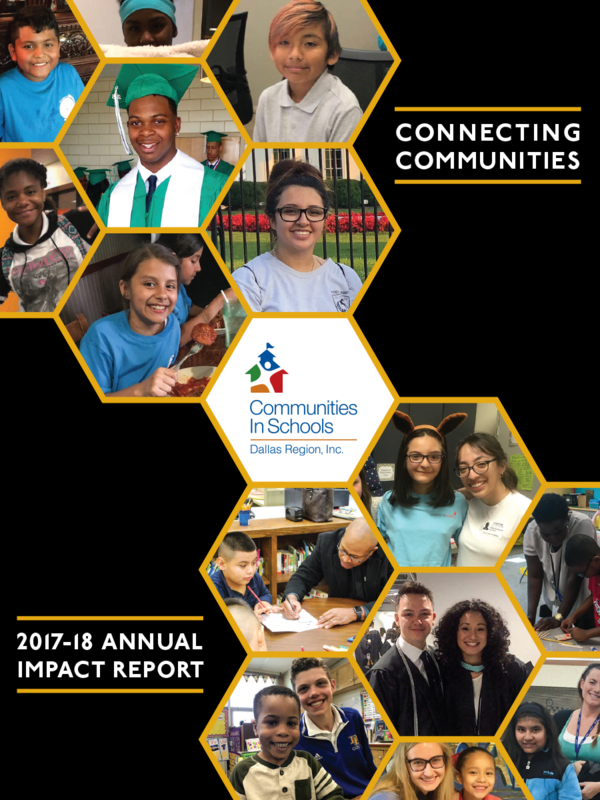 Complete with narratives, photos and numbers, we do our best to summarize what we have done to impact the lives of the thousands of students we have served. 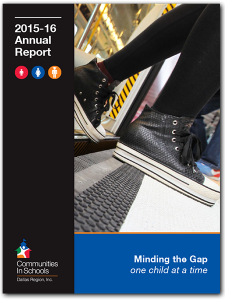 The annual reports below serve as an introduction to the Communities In Schools model and mission. 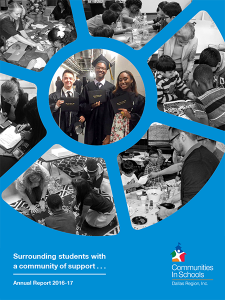 Each is a snapshot of staff dedication, immeasurable board commitment and an unyielding drive to stem the tide of children without a chance.